Today was a big day: I launched my new website at www.brianjmatis.com! So of course, photo of the day needed to commemorate that. 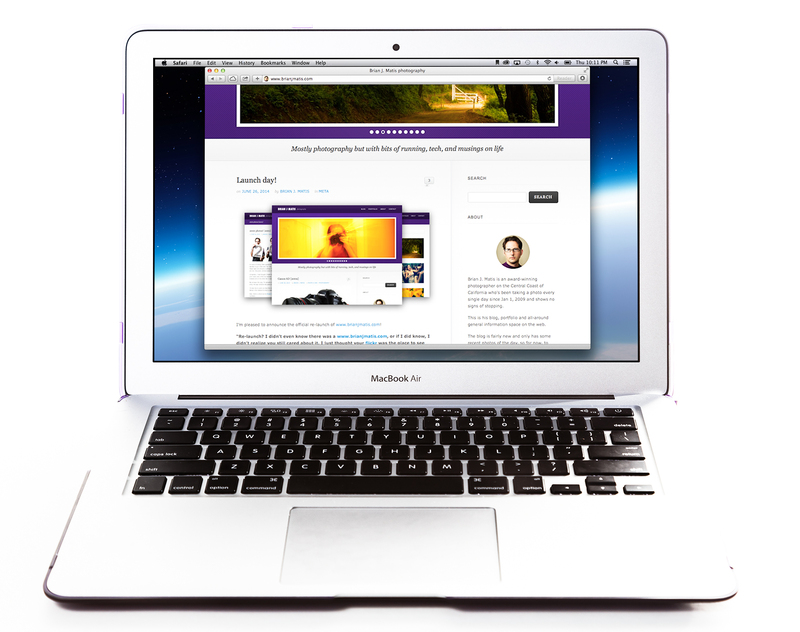 So here’s a shot of my MacBook Air, displaying part of the site. The site will be the new primary home for my photo of the day, but if you’re seeing this on flickr, I’m not going to just quit cold-turkey over there. Both will be running photo of the day, but www.brianjmatis.com will have a lot more, such as: original articles about photography (plus a few other topics like running and technology); links to stories, articles, and tutorials that grab my interest; gear impressions; and more!